Using a number of simple tools we can help you map out your product or proposition strategy and help you develop your thinking to build the right proposition for your customers. This can be as simple as facilitation of workshops and teaching you how to use the tools or we can work as a member of your internal teams to fully develop the proposition vision, the requirements and map out the desired customer experience. 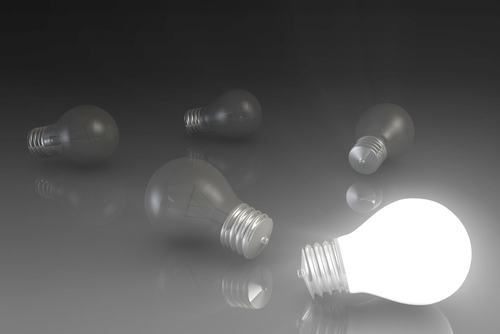 We have enormous experience in delivering a full end to end proposition from conceiving the idea to ensuring that all touch points are correctly briefed and can fulfill any customer missions linked to that proposition, and we have done this across all channels, online, telephone, retail or direct sales. Whether you are seeking to enhance or add to an existing product or are a start up with a great idea that you need to form and get to market we have the expertise and the experience to help you. Click here to find out how we helped Dixons Carphone develop their end to end proposition for a new mobile network in Ireland. At this stage we identify who the target audience for the product or service are, what needs we need to address and shape the value proposition and any key differentiators. Where will customers find out about the product or service, what is our advertising strategy and how do we build awareness, consideration and preference? How do customers access the product or services? What is the distribution strategy and where are the main fulfillment channels? Do we have a marketing plan to support them? Is the product simple to set up and use? Does it feel intuitive? 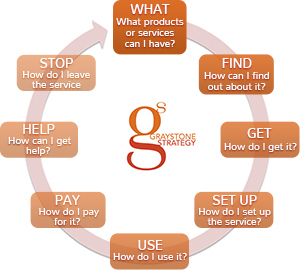 Can the customer start using it immediately they leave the purchase journey and do we have everything required to help them set it up such as online guides, video help etc.? Is the service simple? Have we got the optimum user experience and have we thought through all the different use cases to ensure that customers love and use our product every day? How do we make money from the product? Do we need to set up traditional billing processes; are we planning an ad funded or freemium model? What are the payment journeys and financial flows? Customers are won and lost on service. When customers need assistance what is our model to service them and do we have all the right channels for our target audience? Sooner or later customers will finish using the product or service. Do we have adequate retention plans to maximise customer lifetime value? How do we close down the service and are there any regulatory or data retention or purging requirements?